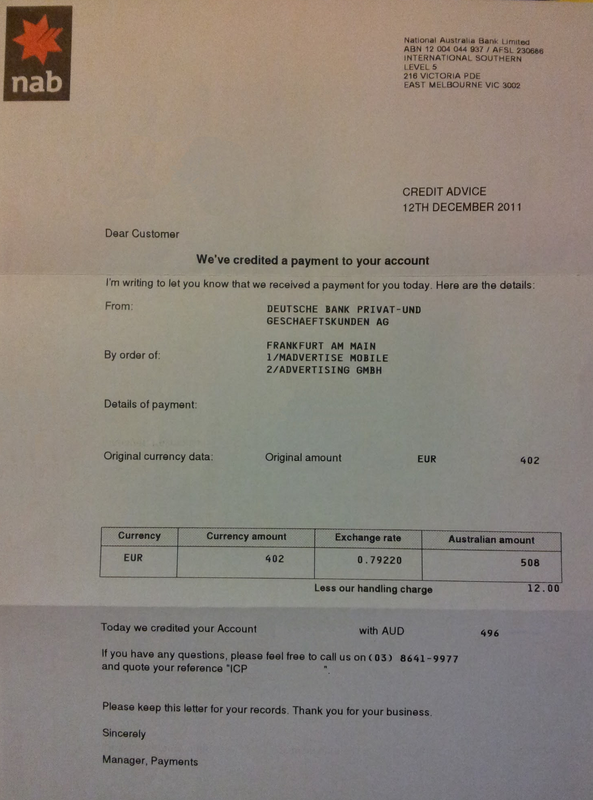 This month I received my first publisher payment from Madvertise. I started using this advertising network in October, and have had some fantastic results so far. Madvertise only works well in Europe (fill rates are very low in the rest of the world), but for European traffic it can return very good revenues. During October I earned 402 Euros from Madvertise, which translates into $496 Australian Dollars. Pretty good for my first paycheck!